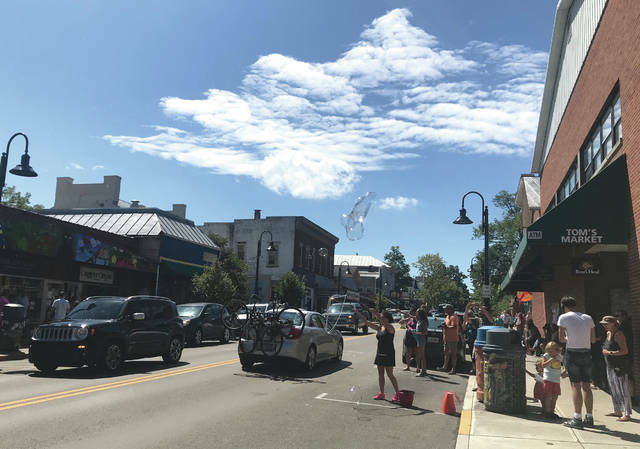 Anna Bolton | Greene County News The Village of Yellow Springs recently hosted its annual Bubblefest. The event has no agenda other than inviting individuals to blow bubbles on the village’s sidewalks. 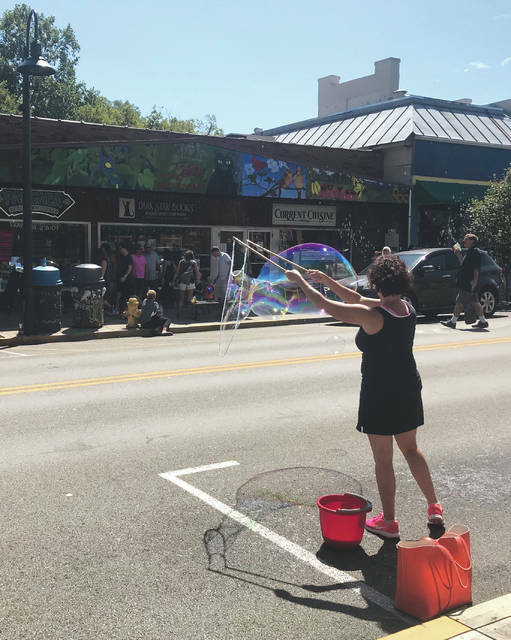 The Village of Yellow Springs recently hosted its annual Bubblefest. The event has no agenda other than inviting individuals to blow bubbles on the village’s sidewalks. https://www.fairborndailyherald.com/wp-content/uploads/sites/50/2018/09/web1_ysbubblefest2.jpgAnna Bolton | Greene County News The Village of Yellow Springs recently hosted its annual Bubblefest. The event has no agenda other than inviting individuals to blow bubbles on the village’s sidewalks. https://www.fairborndailyherald.com/wp-content/uploads/sites/50/2018/09/web1_ysbubblefest1.jpgAnna Bolton | Greene County News The Village of Yellow Springs recently hosted its annual Bubblefest. The event has no agenda other than inviting individuals to blow bubbles on the village’s sidewalks.